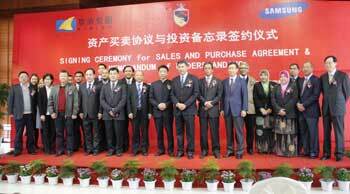 Kibing Group, one of China’s leading float glass producers, has signed a Memorandum of Understanding with Samsung Corning Precision Materials Group Co. in what could become significant event for the glass industry not only in Malaysia but for the ASEAN market as a whole, under the agreement, Kibing will acquire 128 acres of land that formerly housed Samsung’s plant. With an investment of 200 million USD, Kibing will build two glass float lines with pyrolithic coating capability using the latest technology from Germany. Kibing is optimistic on the outlook of the glass industry in Malaysia and its surrounding region and has therefore chosen Malaysia to be the first country it is investing in with a physical plant. When production commences in early 2017, the development will bring many new opportunities within Malaysia as well as the surrounding region. Located within the Tuanku Jaafar Industrial Park of Senawang, Negeri Sembilan, the site is 75 kilometres from the country’s capital, Kuala Lumpur, and 70 kilometres from its main sea port, Port Klang. 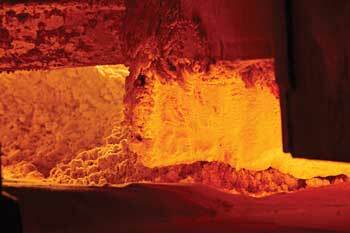 Employing up to 500 people, the proposed facility will produce 1,200 tonnes of float glass a day. Although this pales in comparison to the 16,000 tonnes produced by Kibing Group’s 23 float lines in China, it will represent a significant contribution to the region’s growing need for glass. Besides clear float glass, Kibing’s new plant will produce low-e glass as well as tinted glass of different colours. While the operation is a wholly owned subsidiary of Kibing Group in China, management and production will be handled by a local Malaysian team who not only have expertise in glass but also the experience of operating a large plant. Kibing Group China will contribute financial investment, technical aspects of the business, and work in aligning the Malaysia plant towards the group’s overall strategic plan. This arrangement shows Kibing’s strong commitment to engage the international community using local talent and resources. During the second phase of development, the plant will be expanded to include an ultra thin glass production line as well as a fourth float line with a capacity of 1,000 tonnes. 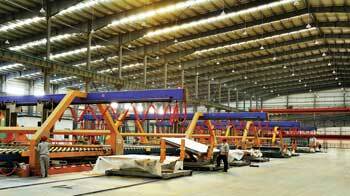 A sputtering solar control coating line will be added to offer more variety to Kibing’s float glass. Kibing Group first started in the glass industry in 2005 and within a decade built a glass empire with six production bases and 23 float lines. This is unheard of anywhere else in the world. Now Kibing has set its eyes on the international arena and the Malaysia plant is just one of the first few investments to bring the Kibing brand to a new level. In 2014, Kibing Group shifted its Sales and Marketing office to Singapore. With a local team of ten sales staff, Kibing Singapore has managed to open new markets in all the continents by exhibiting in glass trade shows such as glasstec, GlassBuild America and China Glass, as well as sending the sales staff to visit customers so as to have a better understanding of the market. To showcase the quality of Kibing’s glass to the market, a factory was set up in Kibing’s flagship production base in Dongshan with eight float lines. Through Kibing Singapore, the processing factory supplies tempered, insulated and laminated glass to many customers all over the world. These include windows and doors, shower enclosures and facade glass. Last year, a budget of USD 100 million was approved to expand and upgrade the Dongshan factory to a new 70,000 square metre location. With so much development happening within Kibing Group, 2016 will be a busy year for Kibing as it negotiate with distributors and agents in different parts of the world to position itself not only as a supplier of quality glass but also a provider of impeccable service. Kibing Group will exhibit in China Glass 2016, Hall W1, Booth 458. Kibing Group (Singapore) Pte. Ltd.